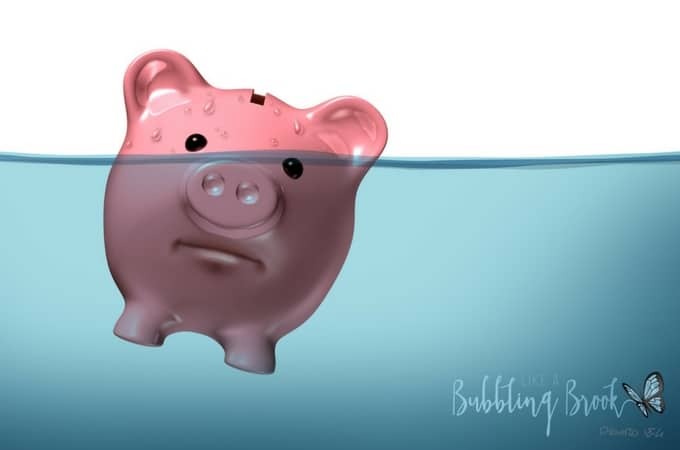 When you’re overwhelmed with debt, it’s hard to know where to turn or how to find resources that will help you the most. Maybe you’ve heard Dave Ramsey talk about money on the radio, listened to his podcast, or even read one of his books. But how can you find all the right “Dave Ramsey budget forms” for getting started? 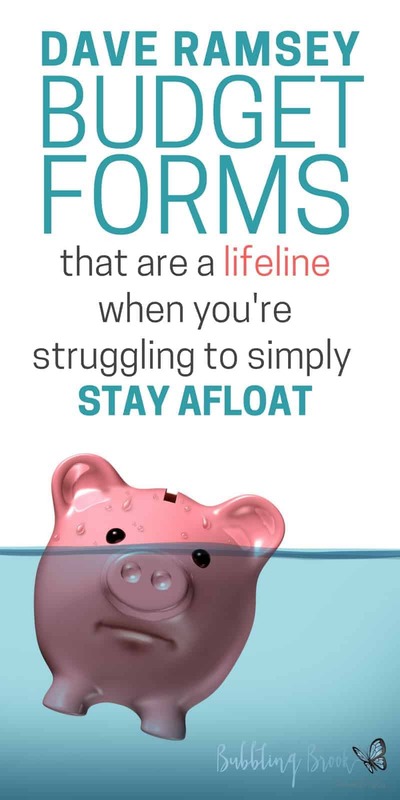 There are so many great forms to choose from! Below you’ll find a short list of free Dave Ramsey budget forms that will be the most helpful to you as you’re getting started. I tried to keep this list simple, with the basic budget forms you might need to get started. If you want more options, click here for my longer list with tons of pretty Dave Ramsey printables. Now, without further ado… here are some forms to get you started. Use this Monthly Cash Flow form to organize everything you need to pay and your debt minimum payments. Next to everything write the due date. Then, use this Spending Plan form to create your budget. You need a column PER PAYDAY which will change every month. If you’re paid weekly or bi-weekly, some months will have more than four pay columns. Like Dave says, you’ve got to tell your money what to do or it will leave. Be diligent about using these budgeting forms, and know where your money is going — every penny of it! If you get paid a variable income rather than a set amount each payday, it can be somewhat confusing to get started. Dave has this Irregular Income form to help you plan for each income source. As you’re setting up your budget, you may find that you need to call certain utilities, creditors, or other billing companies and request to change billing cycles. Usually there’s no problem when you try to tweak your “due by” dates, within reason. Don’t be intimidated! Many companies are happy to help if they feel it will help them receive your payments in a timely manner. If you’re pretty far behind with your bills and can’t seem to get current, here are helpful tips about what to do when you can’t pay your bills. While we were paying off debt, I found encouragement in memorizing bible verses about money and thinking through what the bible has to say about money, contentment, and wealth. I’ve created these 24 printable scripture cards about money to help you stay inspired, too. They’re perfect for carrying along in your purse or bible and pulling out as you go about your day! 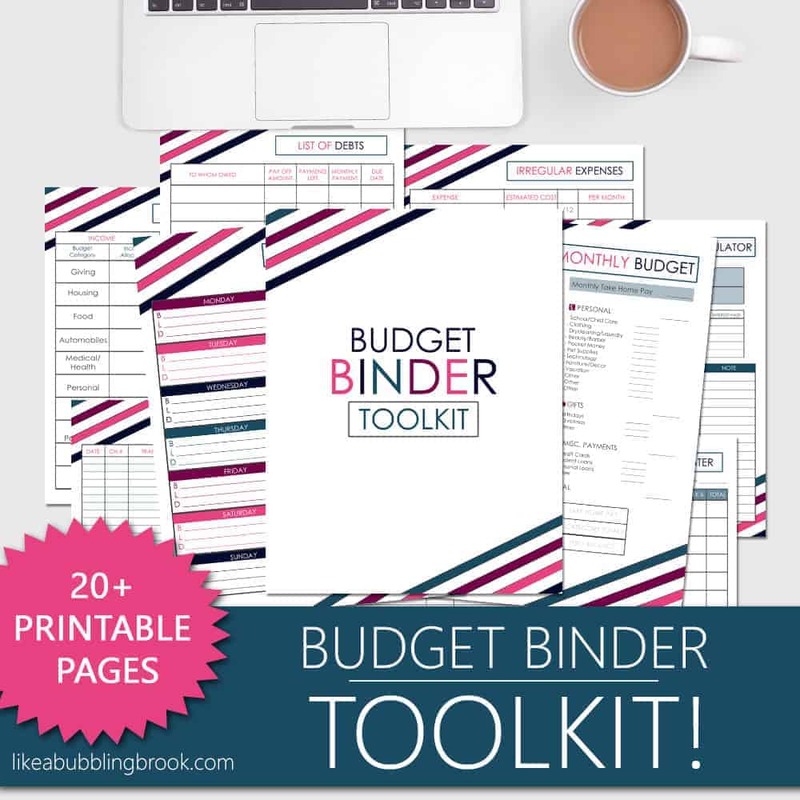 I also designed a beautiful Budget Binder Toolkit that has really helpful budgeting forms, plus all the printables are easy to use. It’s easy to print them, fill them out, and put them in a three pronged binder. Everything you need is there in one easy PDF file. There’s even a “spending journal” printable! You can learn more about the Budget Binder Toolkit here. You can do this! One step at a time, my friend. Just keep putting one foot in front of the other, and you’ll get there. It’s worth it! Before you go, take a minute and tell us about some Dave Ramsey Budget Forms that have been helpful to you. We’d love to know. Cook at home more often. We used to waste so much money going out to eat! This is a constant struggle for us as a busy family. Try a program like emeals (the link takes to you a free 14-day trial) to help you create simple, inexpensive meals at home if you struggle in this area like I do. You’ll save MORE money on your groceries each month than the small amount you pay for their service. Create a budget. Mvelopes is the online budgeting program we personally use and LOVE. In fact, we purchased a lifetime membership several years ago when they offered it to us. It’s like a virtual cash envelope system, and it syncs with your bank accounts. Here’s my full Mvelopes review, or you can click here for a free 30 day trial of Mvelopes. My husband and I took a FP course years ago, but we never fully followed the plan. We’re not doing well again and I was looking around online, wishing I had access to the FP stuff now, just quickly, not the whole book to go through. Then today I saw your request to join my group boards and I immediately saw this post! How awesome is our God?! Something that others might think is insignificant is actually Him working in our lives. If you have previously taken the course, you can contact over of the local group’s leaders and all about getting one for a discounted rate since you already took the course. I was able to get the new course for only $50 and took it all over again just as a refresher.